John 1:14-17 (AMP) “And the Word (Christ) became flesh, and lived among us; and we [actually] saw His glory, glory as belongs to the [One and] only begotten Son of the Father, [the Son who is truly unique, the only One of His kind, who is] full of grace and truth (absolutely free of deception). 15 John testified [repeatedly] about Him and has cried out [testifying officially for the record, with validity and relevance], “This was He of whom I said, ‘He who comes after me has a higher rank than I and has priority over me, for He existed before me.’"16 For out of His fullness [the superabundance of His grace and truth] we have all received grace upon grace [spiritual blessing upon spiritual blessing, favor upon favor, and gift heaped upon gift]. 17 For the Law was given through Moses, but grace [the unearned, undeserved favor of God] and truth came through Jesus Christ." 2 Peter 1:2 ”Grace and peace [that special sense of spiritual well-being] be multiplied to you in the [true, intimate] knowledge of God and of Jesus our Lord." Acts 15:11 "But we believe that through the grace of the Lord Jesus Christ we shall be saved in the same manner as they." Romans 6:14-16 "For sin shall not have dominion over you, for you are not under law but under grace.15 What then? Shall we sin because we are not under law but under grace? Certainly not! 16 Do you not know that to whom you present yourselves slaves to obey, you are that one’s slaves whom you obey, whether of sin leading to death, or of obedience leading to righteousness?" Hebrews 13:9 ''Do not be carried about with various and strange doctrines. For it is good that the heart be established by grace, not with foods which have not profited those who have been occupied with them." A deeper insight into the attributes of God's grace. Scriptures of how God honors faith. 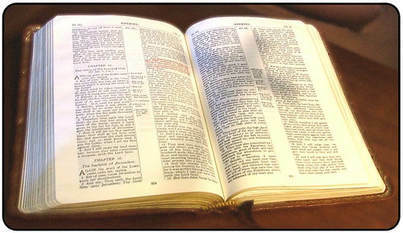 ​Bible verses on the subject, for study and analysis. A collection of the "one another" verses of the New Testament. Copyright 2017 Carmen Puscas May be used for personal study or instruction but shall not be copied and/or distributed in whole or part without permission or for financial profit.